In Bell Gardens, California you will find sunny days and welcoming residents! Located just southeast of LA, this town hugs the Los Angeles River and offers great access to the 5! Chances are you will be renting when you first arrive. Housing here is limited, and your cost of living will be a little higher (about 57% more than the national average), but don’t be discouraged! This part of California is so sunny, it’s hard not to look on the bright side. Smaller living spaces are now “in” thanks to new, popular reality TV shows, and to many they are adorable, however, if you’ve lived in California most of your life, you're accustomed to living in smaller spaces (and paying higher-than-average prices for it). 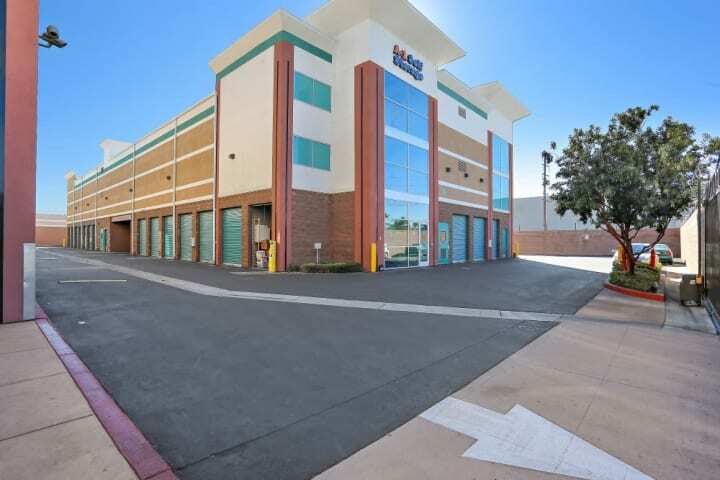 Regardless of your lifestyle, A-1 Self Storage in Bell Gardens wants to help you get the very best deal you can on safe, reliable self storage! 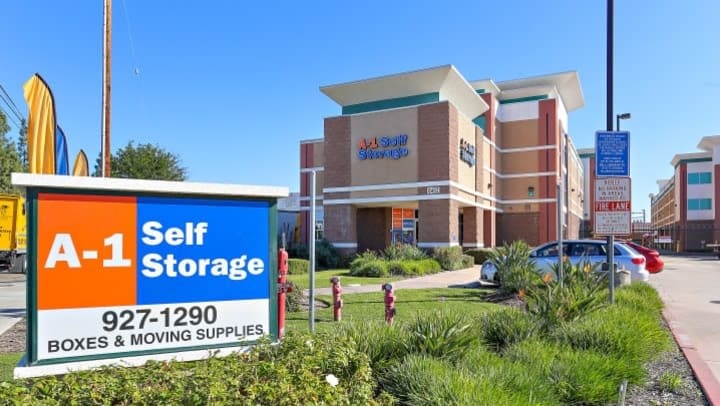 With that kind of service, there aren’t too many reasons we can think of for you to go elsewhere for your self storage needs. Built in 2010, this 874-unit facility has every storage and moving amenity you’re looking for! We feature standard units from 5’ x 5’ up to 10’ x 25’. The variety of sizes in between will surprise you! We even have discounts on our irregularly-shaped units, perfect for awkwardly shaped items that have trouble fitting anywhere in the house or the garage. 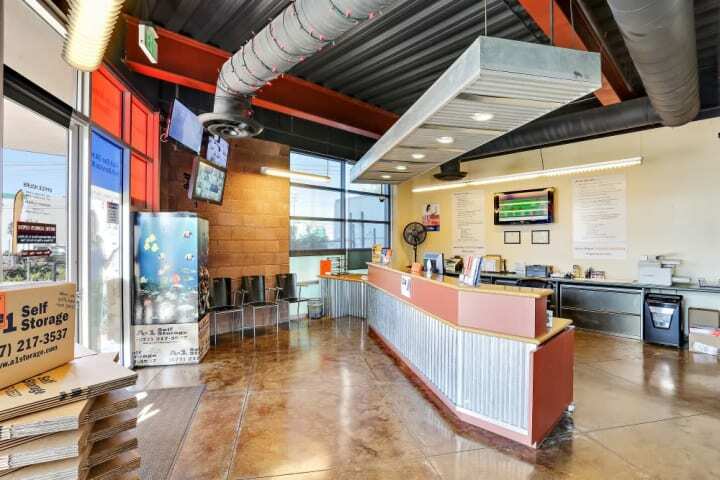 Our 45 drive-up units are some of the most popular spaces on the property. If you are downsizing from a family-sized home to a smaller apartment, the number of items to move or sort through can be head-spinning! 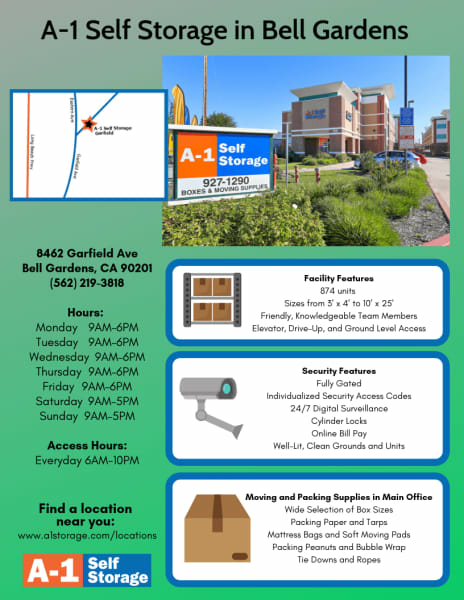 Here at A-1 Self Storage in Bell Gardens, you can conveniently back a moving truck up to a storage unit, and unload. If you need to move in a hurry, and you’re unsure what some boxes hold, take your time! Your rented self storage unit will be here safely holding your boxes until you’re ready to sort! Now, you have the freedom to move what you want, when you want. The extended access hours at this self storage facility are super convenient. Stop by on your way to the office or drive in after dinner. You can visit your unit from 6:00 a.m. until 10:00 p.m., seven days a week. If you need to buy some major packing supplies, stop into our retail shop between 9:00 a.m. and 6 p.m. Monday through Friday and from 9:00 a.m. to 5:00 p.m. on Saturdays. Many people say the shop looks like a small coffee shop, with comfortable seating and a friendly atmosphere! When asked about the A-1 Self Storage security protocol, Gilbert says his team checks the security system daily. They can see every person who walks in and out of the property, “We do walkthroughs and make sure hallways and carports are free of all people as well as clean,” said Gilbert. Drive away from our facility knowing your items are safe and leave your worries behind! Speaking of driving, our location is close to the freeways and all the major roads leading into Garden County and Southgate. We’re located close to El Paseo South Gate Shopping Center and Bell Gardens Golf Course! Come by and meet Gilbert and let him help you plan for the future. We can be found at 8462 Garfield Avenue. If you’d like to call and ask any questions, we’re here for you at 562-231-7578. Hope to see you soon!